Chance Smith, a young man living in the small town of Galesburg, IL loves to draw everything from wolves to graffiti. He also can’t draw with his hands. 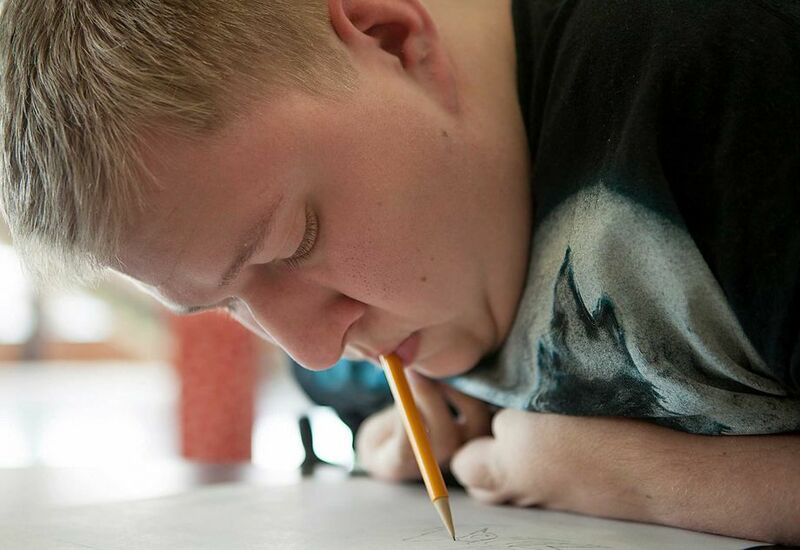 His elbows and hands are locked in place due to a rare condition called arthrogryposis that affects his joints. And so he draws with his mouth. The amazing part is that he can draw just as well as anyone who has normal use of their hands can draw. Even more impressive, he uses his mouth for other functions, such as typing, which he does with a stick in his mouth. Chance is known for his belief that he can do anything a “normal” person can do, and his foster parents have encouraged his confidence. He even wanted to join the army, and only gave up after they finally rejected him. When he decided he wanted to play basketball, he said he didn’t want to play in the handicap league. Just as with Chance, another artist decided not to let her disease hold her back from doing art and accessing her creativity. In fact, in Ariana Page Russell’s case, her disease became not just something she overcame, but something she used to fuel and inspire her art. Ariana has what is called dermatographic urticaria, which is also known as “skin writing”. The disease is causes skin to inflame at even the slightest contact. Scratching, rubbing, or just touch can cause the skin to react similarly to the symptoms of an allergic reaction. 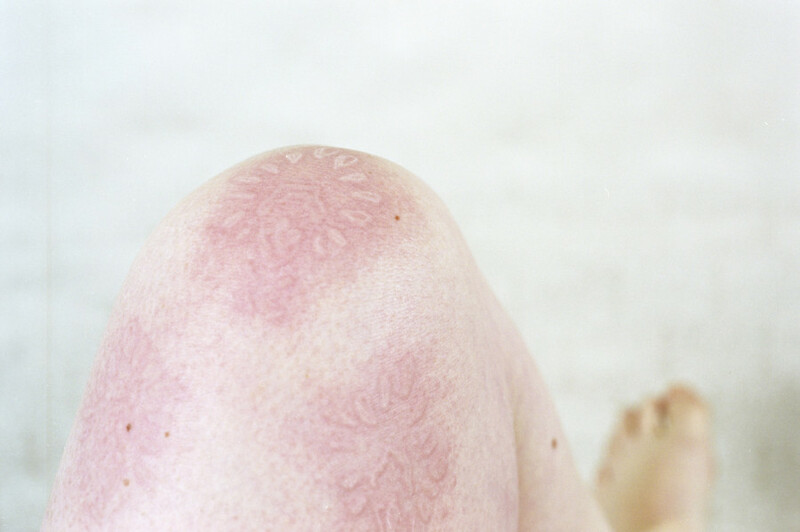 The result is puffy red welts. The disease is more common than people may be aware of, affecting 4 to 5% of the population. Ariana used this seemingly scary disease as the actual medium for her art, turning her body into a work of art. The results are stunning and inspiring. 6 year old Addie suffers from an undiagnosed rare brain condition that has caused her brain to get smaller and fill with liquid as time passes. This has caused her to slowly start losing certain functions, such as the ability to hold objects and communicate. It seemed very likely to her family that she would probably not have another Christmas to celebrate after this year. In fact, she had already lost the ability to spend time with friends. And so they had an idea: even if Addie couldn’t spend time with her friends, maybe the world could share some love with her anyway. And so they put out a plea on a Facebook page they had created for her for the public to send Christmas cards to their home. The response was incredible. In short order, she received over 300,000 cards from well-wishers all over the world. Some people who sent cards included President Barack Obama and a Vietnam War veteran who sent Addie his bronze star (with his name crossed out and her’s in its place). 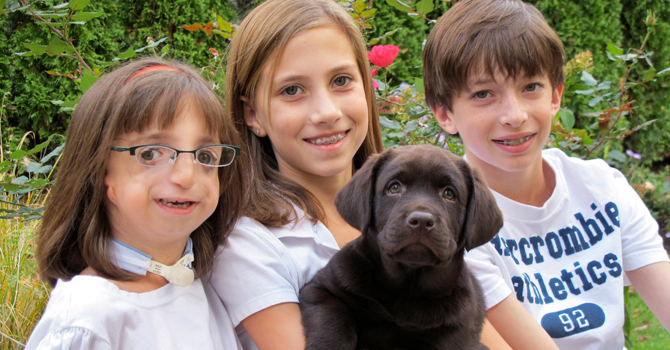 After a prenatal screening, Clara Beatty’s parents were advised to abort her. They had found that she would be born with Treacher Collins syndrome, a rare congenital disease that affects the development of bones and other tissues on the face. It started off hard. For the first three years of her life she needed all-day nursing care because she vomited so frequently. From the stares of strangers to the continued medical difficulties, the Beatty’s had a challenging time raising Clara, but they never gave up on her. But the older she got, the more Clara showed her own special confidence, and an incredible ability to navigate a world that can, unfortunately, be quite judgmental. And when people would stare, Clara would just “smile and say hi”, as her parents taught her to do. Her confidence and abilities have been so high that Clara is no longer only interested in receiving help, but gives it out as well. She volunteers as a mentor at an acting troupe for children with special needs. 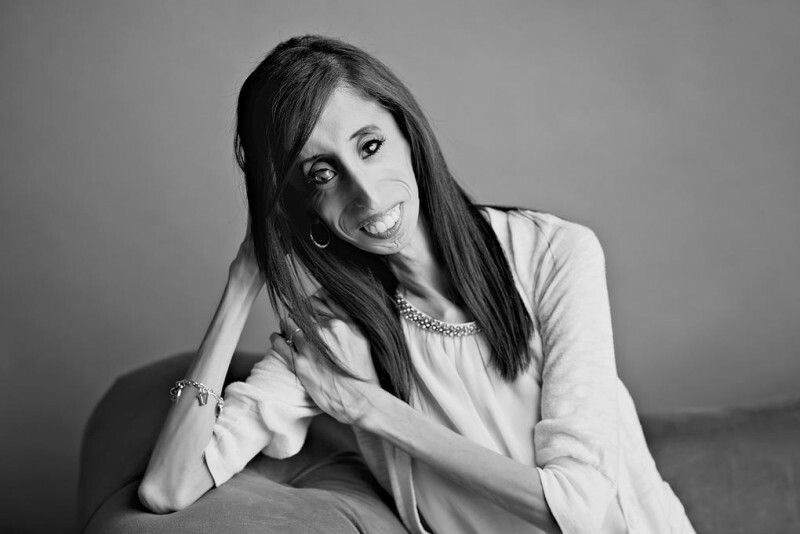 Lizzie Velasquez suffers from a disease so rare it doesn’t have a name. And, according to the latest information available, only 2 other people in the world suffer from it. Because of the disease, Lizzie’s body is not able to store fat, and thus is unable to gain weight. This despite the fact that she must eat up to 60 small meals a day in order to maintain her health. Her appearance has made Lizzie the subject of ruthless bullying, both in person and, as she has gained popularity, online. Her experiences have led her to not just speak louder, but to lead a crusade against bullying. She has become a best-selling author on the subject, and gives almost 200 motivational speeches a year on the subject. You can watch Lizzie’s incredible strength in one of her many inspirational videos, shared below. Do you think you may suffer from a rare disease? Submit your case to our team of Medical Detectives to help you reach the diagnosis you’ve been waiting for. Do you want to help people discover their potential diagnosis? Join our Medical Detective community today.